America's culinary landscape is delicious in its diversity. On one coast, you'll find tacos that taste like they're straight from a roadside stand in Mexico, and on the other, a lip-smacking variety of treats made with fresh-caught lobster. Seeking out regional cuisine is one of the most popular ways to explore the country, says Michael Stern, co-author of the Roadfood blog. "When we wrote the first edition of Roadfood 40 years ago, it was extremely uncommon to take these types of trips," Stern says. "But over the years, America has started to celebrate its local flavors." Put on your stretchy pants and take a drive along one of these mouthwatering routes in the country's tastiest regions. Barbecue cooking methods vary across the country: The sauces are more vinegar-based in North Carolina, meats are often smoked in Texas, and in South Carolina, you get a melange of sauces on the side. The Palmetto State's BBQ is so legendary that there's a state-promoted "Barbecue Trail," and a map is available with the locations of 230 of the state's most revered restaurants. Driving along Route 66 through eight states is an all-American experience that has a unique eating element: local, homespun diners. If you start in Baxter Springs, Kan., Angels on the Route serves a delicacy known as Aztec Chicken, a chicken breast topped with shrimp, bacon, avocados and chiles. Make sure to pull over at the 66 Diner in Albuquerque, N.M., for a Pile Up (pan-fried potatoes with chopped green chiles, bacon, eggs, cheddar cheese) and a side of '50s music. Ice cream lovers flock to Vermont year-round. The Ben & Jerry's Factory Tour attracts large crowds for behind-the-scenes looks at how Cherry Garcia, Phish Food and other beloved flavors are created. But the entire state is dotted with local dairy farms, such as Billings Farm & Museum in Woodstock, where you can whip up your own batch the old school way: churning it by hand. Further up north in Montpelier, Birchgrove Baking produces maple ice cream and other seasonal flavors. The scenic drive along Highway 1-a mix of winding coastal roads and cliffside beach views-makes this road trip worth it. Wherever you decide to begin, though, chances are you won't be far from an amazing taco. In San Diego, sample a fish taco from Mitch's Seafood, a family-owned joint where most of the menu is caught just off the beach. Further up the coast, hit up Guisados in Los Angeles, where the handmade tacos are topped with everything from steak picado to chicharrones. Seafood In Chesapeake Bay, Md. At Fells Point, steamed mussels take center stage. Annapolis specializes in blue crabs and fresh, simply prepared steamers. When crabs are in season, Newburg is the spot to roll up your sleeves and dig in. Oysters have made a big comeback in the Chesapeake after conservation efforts to curb pollution brought back the bivalve population-and they should be sampled liberally. Driving to any of these delicious destinations? GEICO auto insurance could have you covered. Renting a car? Find out if you need additional insurance. 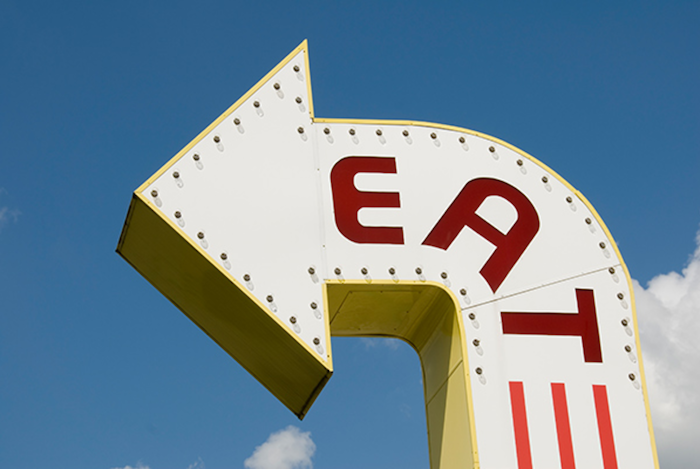 What's your favorite roadside food find? Share here, and your comments may appear in an upcoming article!